This is a very simple wrap! 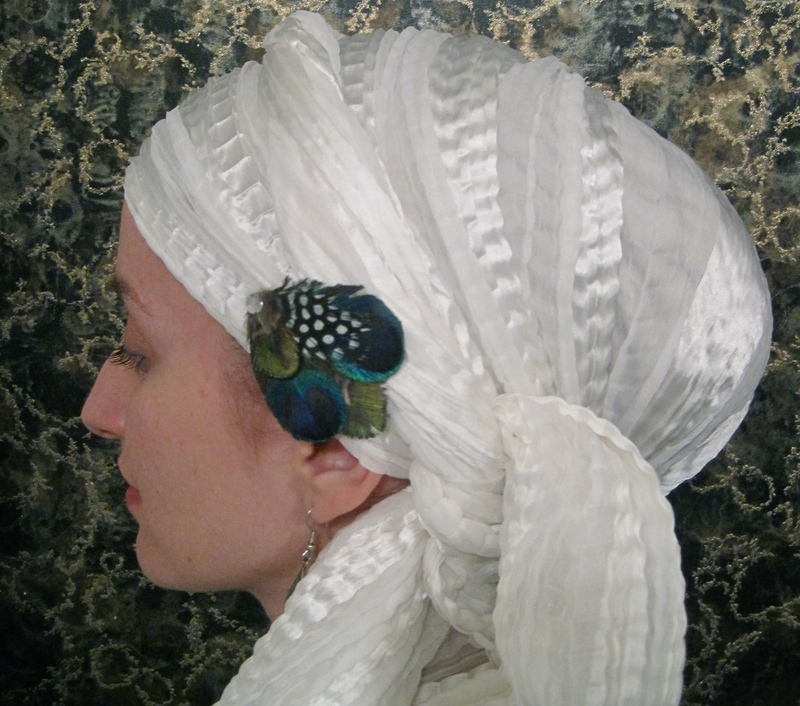 It’s one white, long textured scarf (I have seen ones like these in east Indian neighbourhoods used as shawls). With it, I did a “royal twist” and added this peacock pin, which is becoming one of my favourite accessories! ← First Workshop – YAY! i think i’m in love with that scarf 🙂 gonna have to hunt me down one. If I can find another I will definitely save it for you.